From the ancient monuments on every must-see list to the quiet beauty of the loveliest islands of the Nile. Aswan is home to the outstanding Nubia Museum and the splendid archaeological sites of Philae and Kalabsha, near the High Dam. Aswan invites you to dream and relax, with its charming African atmosphere and its slow and relaxed way of life. With a wide variety of excursions and activities, we hope to convey a flavour of the wealth of possibilities Aswan & Abu Simbel can offer travellers. The splendid archaeological sites of Philae and Kalabsha were rescued from flooded islands as part of the UNESCO campaign to save Egyptian monuments threatened by the Aswan High Dam project. The main temple of Philae, dedicated to the goddess Isis, is now situated on the small island of Agilika. Also on the island are a temple of Hathor, Trajan’s Kiosk, a birth house (mammisi) and various shrines and sanctuaries. The small but equally interesting sites of the Ptolemaic temple of Kalabsha, the temple of Beit el-Wali, dating to the reign of Ramesses II, and the Roman Kiosk of Kertassi are stunningly located on an island overlooking Lake Nasser and the Nile. The High Dam, constructed between 1960 and 1970, is also on the programme. A day’s leisurely sailing aboard a traditional felucca circling the beautiful islands of Aswan. A slow, relaxed way to explore Elephantine Island with its evocative ruins, and the Botanical Gardens on lush Kitchener’s Island. A walking tour into one of the many colourful Nubian villages perched on the edge of the desert near Aswan is also possible. Enjoy a traditional Nubian meal, freshly cooked on board by the sailors, while the feluccas float on the Nile among enormous granite boulders and between exotic and lush islands. Travel by motorized boat through the beautiful islands of Aswan with fantastic nature and birdwatching opportunities. The Nile islands of Saloga and Ghazal were declared natural protectorates in 1986. These twin islands are among many wonderful places that boast diverse vegetation, tropical plants and a variety of bird species. Enjoy a peaceful stroll around the islands, havens for many rare exotic birds. A traditional lunch in a local restaurant on one of the Nile’s islands is a fitting end to this fantastic day. Sail in a felucca across to the West Bank. The northern hills of the West Bank are honeycombed with the rock-cut tombs of Old & Middle Kingdom Nobles, boasting vestibules, offering chapels and several chambers, often decorated with daily life scenes. Continue sailing to the landing stage for St Simeon’s monastery and take a short camel ride uphill into the desert to visit the remains and ruins of this charming seventh century Coptic monastery. With its beautiful location amidst the arid landscape and desert sands, the monastery looks more like a fortress than a medieval monastery. 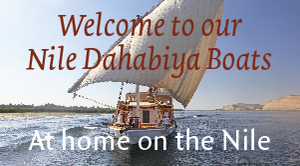 Return to the boat and enjoy a traditional Nubian meal, freshly cooked on board by the sailors, while sailing between the Nile’s many picturesque islands in Aswan. The world-famous temples of Ramesses II and Queen Nefertari lie 280 km south of Aswan, overlooking Lake Nasser. Four colossal statues of Ramesses II dominate the façade of his great rock-cut temple, the most famous and ambitious of his architectural wonders. The nearby Temple of Hathor was also built by Ramesses II in honour of his Great Royal Wife, and favourite, Queen Nefertari. Abu Simbel can be reached by road from Aswan. 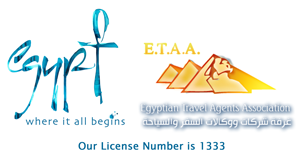 You can travel to Abu Simbel at any time between sunrise and sunset. By road, it will take you approximately three hours to get there and three hours back.